In this article I introduce the concept of the Microprocesses Architecture which addresses some important limitations of traditional monolith Case Management applications. This article has been updated on 2018-05-21 to correct a link to a previous blog article. 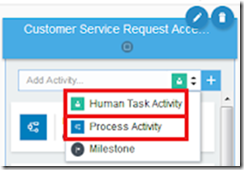 In the Oracle Integration Cloud a Case Management application consists of at least one Dynamic Process that on its turn consists of Case Activities. 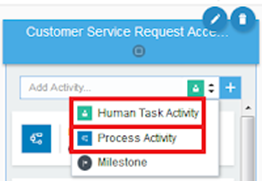 A Case Activity is implemented by a (structured) Process, or a Human Task. The unit of deployment is an Application, which consists of one or more Dynamic Processes plus the implementations of the activities (Processes, Human Tasks), and may also include a couple of Forms (plus some more). The same application can have multiple revisions (versions) deployed at the same time, each having its own Revision Id. There can only be one default revision. It is important to realize that once an instance of a case is started, it stays running in the same revision. In contrast to the (on-premise) Oracle BPM Suite there (currently) is no way to move, or migrate as it is called, the instance from one revision to another. That holds for Dynamic Process as well as the implementation of its activities. Read the complete article here.